I loved the descriptions of the landscape, loved how the author didn’t shy back from showing the reality of shearing, working with sheep, and how hard these men work for the money they make. The writing is crisp, straight-forward, realistic and organic. A wonderfully rounded story, a character study of two men, and a romance that is, while quiet, also strong and enduring. 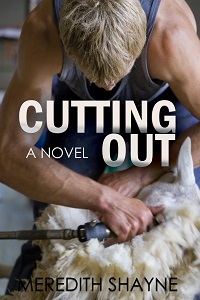 I’m also delighted to report that Cutting Out has been nominated in two categories in the Goodreads Member’s Choice Awards – Best Contemporary/Mainstream and Best Blue Collar. Thanks so much to those who nominated it! You have to be a member of the group to vote, but if you are, the topic at the group is here. Voting opens November 28th.